Maserati wants to give their German brand rivals some new and improved competition. It&apos;s been a few months since we&apos;ve seen some updated spy shots of the next Maserati Quattroporte. Since then, we&apos;ve learned that Ferrari is set to build a new forced-induction V6 and normally aspirated V8 that will likely power this Italian sedan when it debuts at the Paris Motor Show this September. The base V6 will produce somewhere around 420hp while the V8 will deliver a solid 520hp. Styling wise, we&apos;re assuming the new Quattroporte will be more of an evolution rather than a revolution of the current car&apos;s styling. 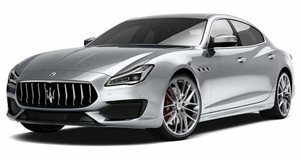 Maserati has made it clear they&apos;re targeting some of the big gun sedans from Germany that currently dominate the market segment. Fiat, Maserati&apos;s parent company, also wants to expand sales not only in Europe, but also in North America and China where luxury sedans, especially in the latter, have always been popular. Will this new and improved Quattroporte be good enough to truly be a 7 Series or A8 competitor? We&apos;ll find out when test drives begin this fall.